New Issue Of "All Mod Icon" Announced And Pre-Orders Being Taken NOW! – Paul Weller News! New Issue Of "All Mod Icon" Announced And Pre-Orders Being Taken NOW! 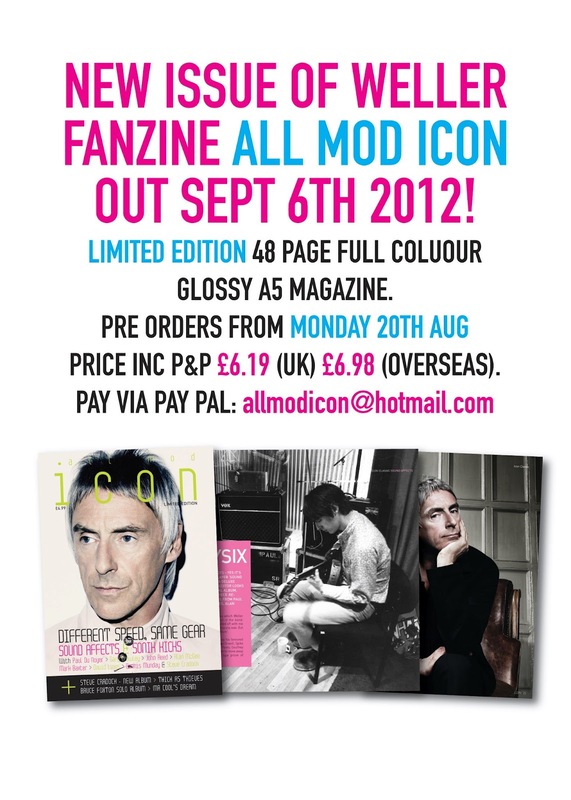 A new issue of Jam/Weller Fanzine All Mod Icon is coming out on Sept 6th. It is a 48 page, full colour glossy A5 Magazine with a big feature on The Jam album, ‘Sound Affects.’ Pre-orders are from Monday 20th Aug at 9am. £4.99+£1.20 P&P (UK)/£4.99+£1.99 P&P (Overseas). Previous Entry Paul Weller To Play Los Angeles On Oct. 19! Next Entry Paul Weller last.fm Acoustic Session And Interview!